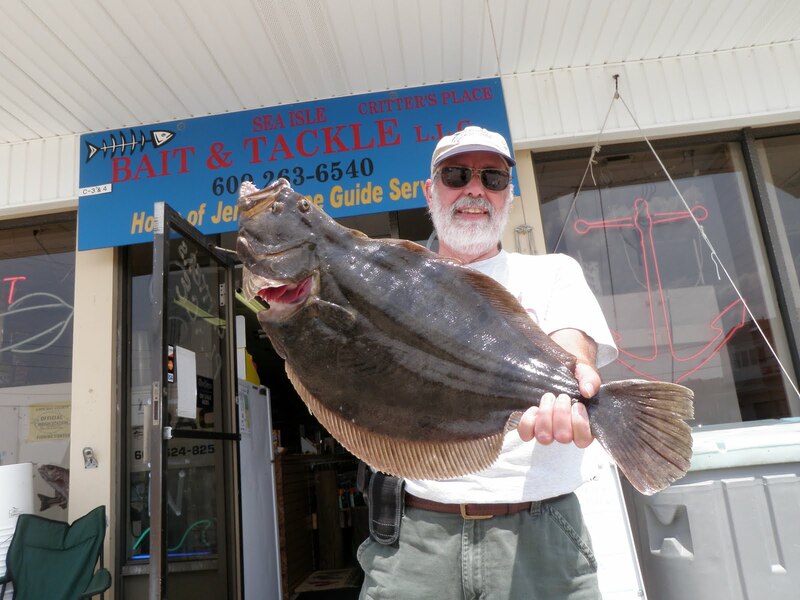 Jim Albright of Drexel Hill PA landed this doormat Saturday June 18th. It toppped the scale at 6lb 2oz and measured 25 ½ inches. Jim was not using any kind of fancy rig or secret bait. He went old school, the way all of our grandparents taught us how to fish. A simple three way swivel, lead dipsy a long (36in) leadered wide gap hook and a minnow. Jim has weighed in several fish this year and the key to “his” successes is fishing the right spots. 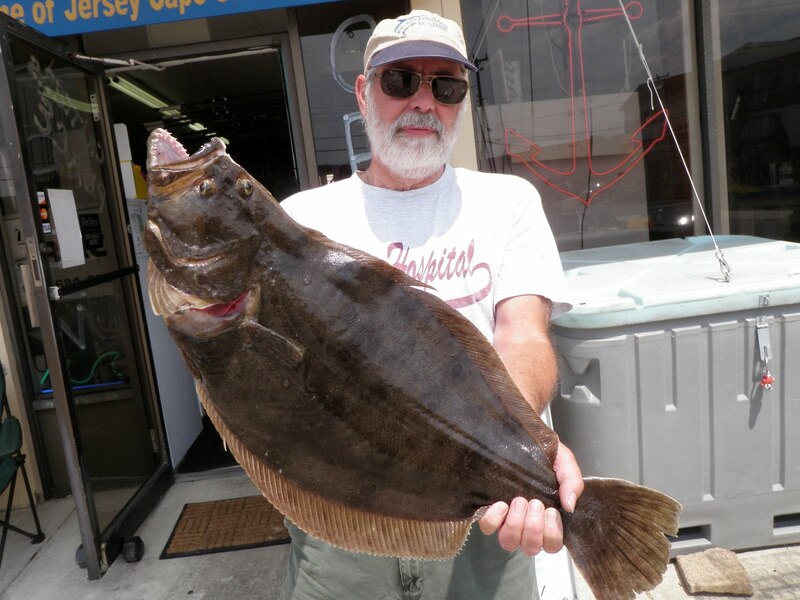 This fish was taken in the mouth of a crick that was darning into the inner coastal near the Coast Guard base in Townsend Inlet. I’m not saying that this is the spot you must go, what I'm saying is think like a fish (what would a fish do). During outgoing tide all the feeder cricks are running low and the tide is dragging out minnows, shrimp crabs and other food. The mouth of that can be great fishing, the fish are just laying there waiting for the food to come to them. Also look for a hard drop say from 5 feet to 22 feet don’t make a drift and move on. Make a couple of drifts in different depths and try to locate the fish, sometimes the biggest fish are in the shallow water. What I'm trying to say in this report is many of us overthink our rigs and tackle and underthink what is going on under the boat and in our surroundings.